One Last Turn Around the Constellations – July 2! 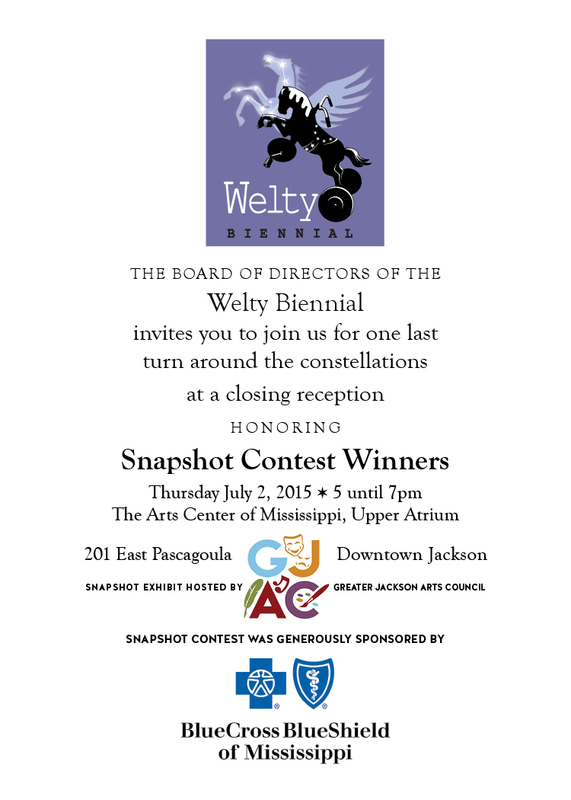 The stars will continue to shine of Jackson even after the first Welty Biennial comes to a close next week. How? We’ll be planning for the second biennial in 2017! For now, though, please join us for the Closing Reception honoring the amazing art of Jackson’s children as we showcase the Snapshot Contest Winners. We hope to see you on July 2 in the Upper Atrium of The Arts Center of Mississippi, 201 East Pascagoula Street, Downtown Jackson.